Introducing the Angela Flanders Trilogy Gift Boxes. 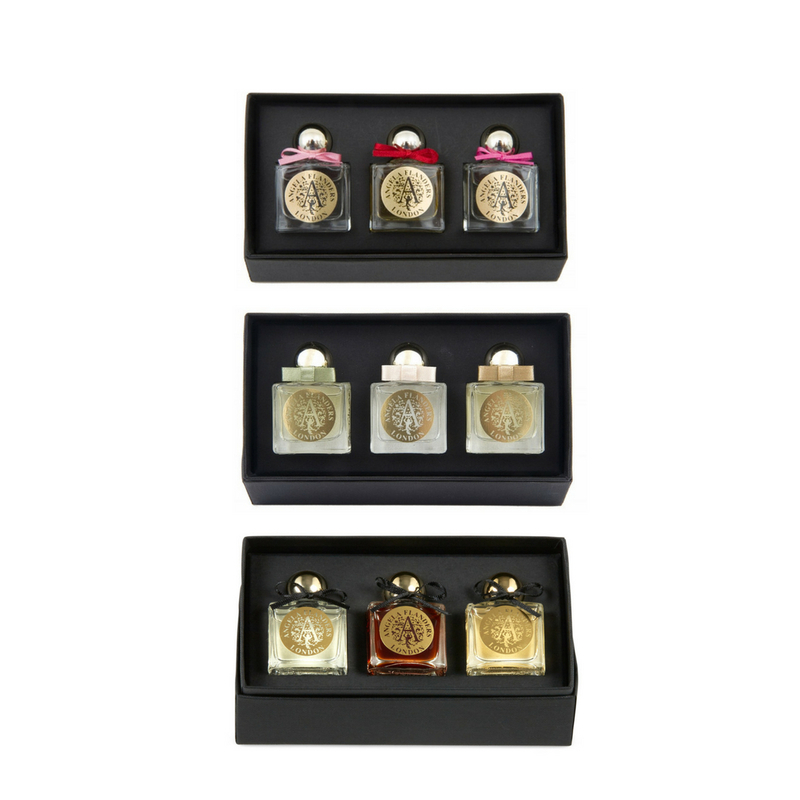 Each box in the trilogy is themed and contains three precious bottles of fragrance. Perfect for the fragrance lover, these special gift sets – priced at £65 – are an ideal way to discover and enjoy several perfumes. Be sure to choose which box you would like in the drop-down menu below. 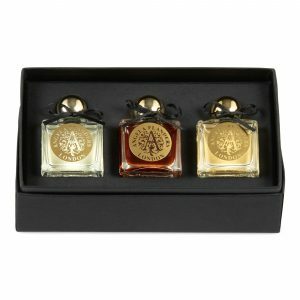 The Columbia Rose Trilogy is an olfactory story narrated in three chapters, each representing a decade of Angela Flanders’ life as a perfumer. MOROCCAN ROSE – a dark, red rose resting on an exotic base of ambrette, sandalwood and iris. ROSE POUDRÉE – a blend of rose and violet resting on a base of powdery musk, vanilla, iris and heliotrope. COLUMBIA ROSE – a rich, velvety rose lifted by a touch of violet, deepened by sandalwood and amber, resting on a shadowy base of aged patchouli. 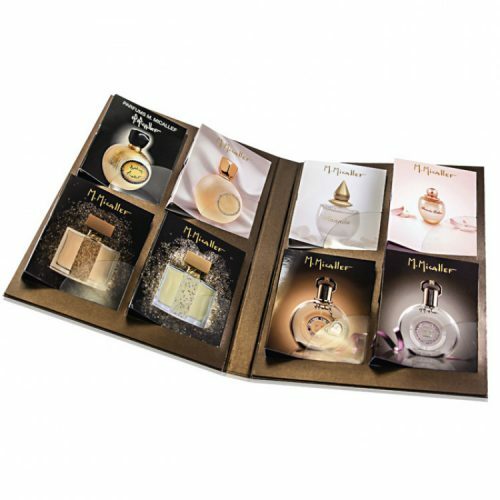 Three precious bottles of rich and warm perfumes with dramatic spicy base notes. PARISIENNE – a perfume that encapsulates all the elegance and style of the legendary city. Powdery musks, roses and a haunting note of softest vanilla. AMBRE NOIR – a legendary fragrance to bewitch the mind and ensnare the senses. Mysterious and elusive, with a deliciously rich dry heat. A deep, dark and Incense like scent, enticing and exotic on both men and women. FIGUE NOIRE – a unique fig fragrance, rich and rounded, almost candied. 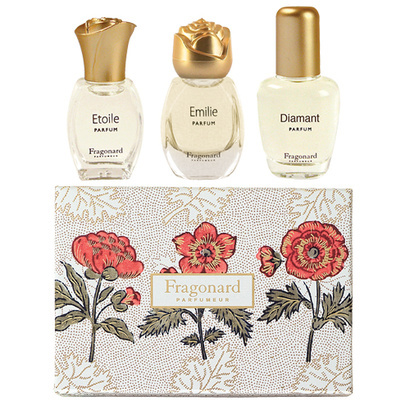 Three precious bottles of fragrance inspired by the seductive beauty of white flowers. WHITE FLOWERS – an ultra-feminine bouquet of white flowers on a sunny day. Lily of the valley, jasmine, rose and lilac rest on a fresh, dewy base. JASMINE – the timeless fragrance of jasmine, one of the most precious perfumes since ancient times. TUBEROSE – epitomises the intoxicating warmth of this night-scented flower, evoking its creamy, waxy, animalic perfume. Angela Flanders established her original perfumery in East London, in the heart of the famous Columbia Road Flower Market, in 1985. Now run by her daughter Kate, this unique perfumery has grown quietly over the years, becoming a destination for those in the know, who appreciate the art and craft of fine artisan perfumery.